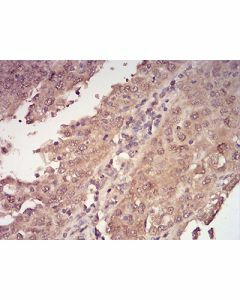 EVI2B is required for granulocyte differentiation and functionality of hematopoietic progenitor cells through the control of cell cycle progression and survival of hematopoietic progenitor cells. 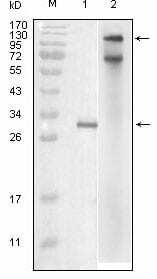 Purified recombinant fragment of human CD361 (AA: extra 22-202) expressed in E. Coli. 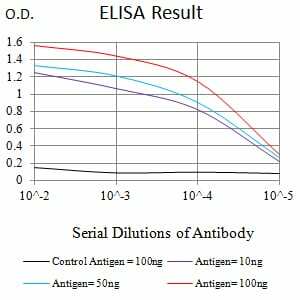 1.Cell Death Differ. 2017 Apr;24(4):705-716. 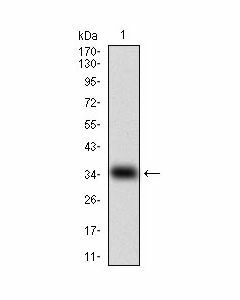 Figure 2:Western blot analysis using CD361 mAb against human CD361 (AA: extra 22-202) recombinant protein. (Expected MW is 45.3 kDa). 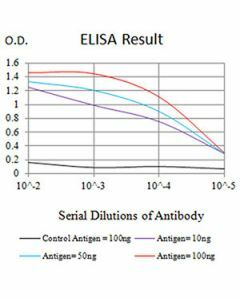 Figure 3:Western blot analysis using CD361 mAb against HEK293 (1) and CD361 (AA: extra 22-202)-hIgGFc transfected HEK293 (2) cell lysate. Figure 4:Western blot analysis using CD361 mouse mAb against HL-60 (1), Raji (2), and PC-12 (3) cell lysate. 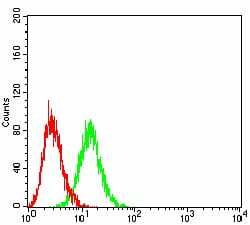 Figure 5:Flow cytometric analysis of HL-60 cells using CD361 mouse mAb (green) and negative control (red).